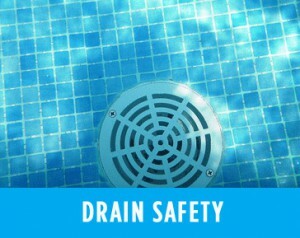 Teach your children that pool drains are to be avoided. They should not play near or around them. Their hair could get caught and it is not a safe area for them to be. Kids get excited when they are having fun. Often this leads to a little bit of hyperactivity. 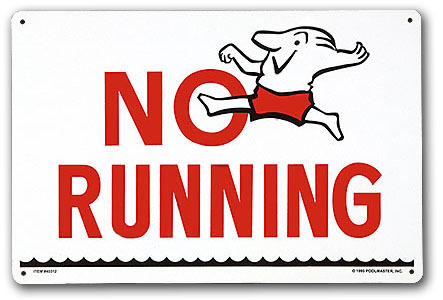 It is not unusual to see a child run on the wet pool tile, cement, or deck enveloping the pool. Teach them that this is not okay. It is very unsafe because they could slip and hit their heads on a hard surface. Worst-case scenario: they knock themselves out and then fall into the pool. This can be easily avoided by carefully walking around the pool. If you get tired or overwhelmed in the pool, it can be easy to get a cramp and bob around fearfully if you aren’t close to the edge. This can be avoided if you are trained in a couple survival skills. If your kids know how to float and tread water, they can keep themselves near the surface in a tricky situation. Once your kids learn safety rules and have trusted swim skills, you could reward them with an Underwater Audio Waterproof iPod Shuffle! 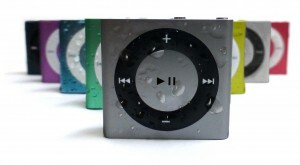 They can listen to all their favorite songs while swimming around the pool in the hot summer sun! It’s the perfect gift. If you have any comments or questions, please feel free to write to us in the section below. We love to hear from you.